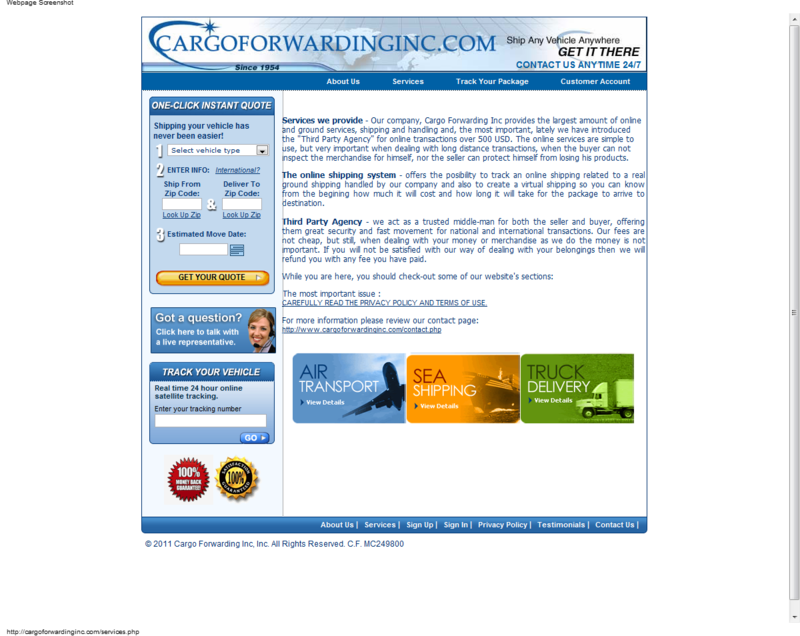 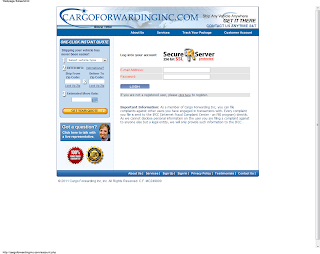 cargoforwardinginc.com is a fake shipping and escrow site set up by scammers in Romania. 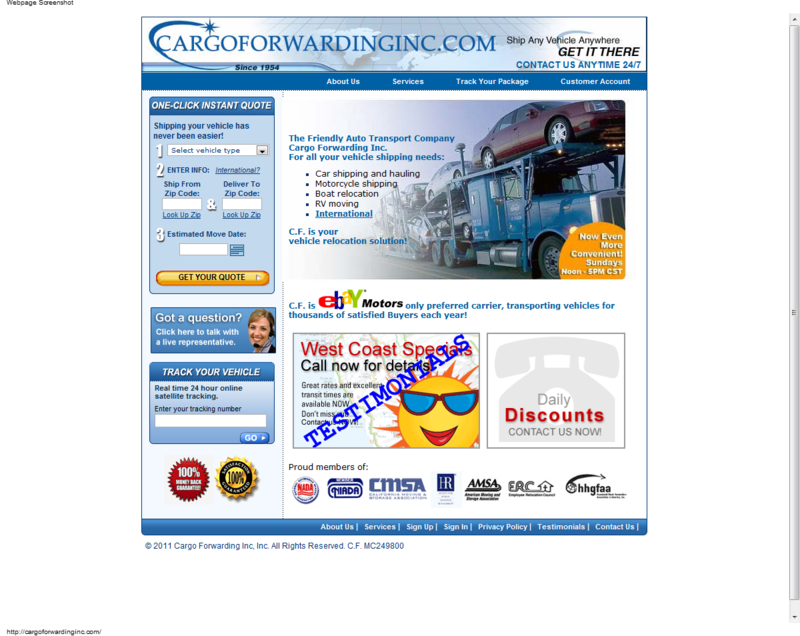 These Romanian scammers usually post fake ads for items like ATVs, Tractors and Mororcycles. They have been known to post ads for tickets. 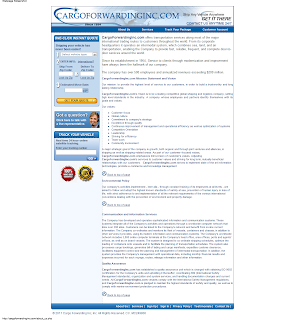 The site offers no security, you are giving your information to criminals. distance transactions, when the buyer can not inspect the merchandise for himself, nor the seller can protect himself from losing his products. 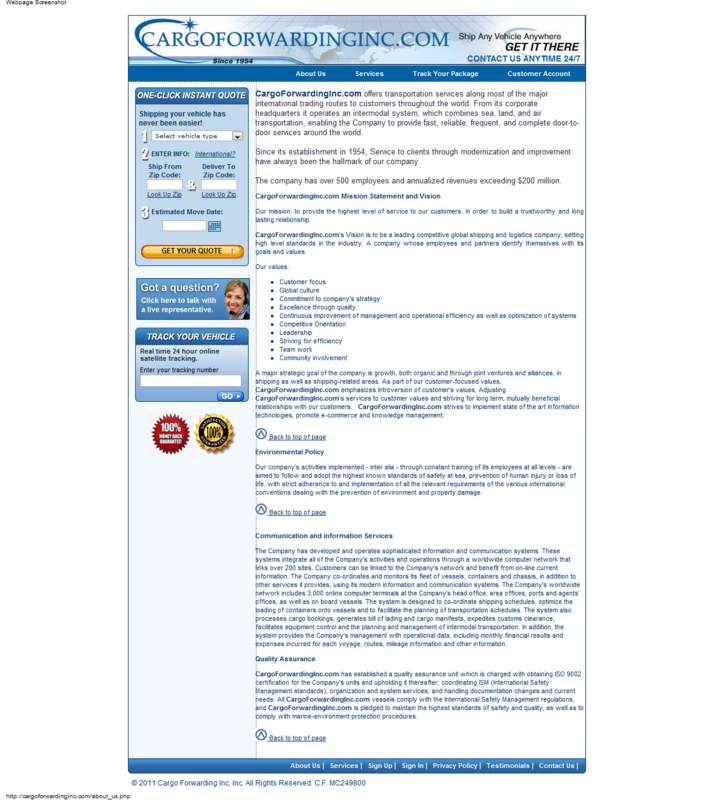 anyone else but a legal entity, we will only provide such information to the IFCC .